He started his acting career in 1965 as a child artist in a malayalam movie 'Odayil Ninnum', a screen adaptation of the novel by the same name. 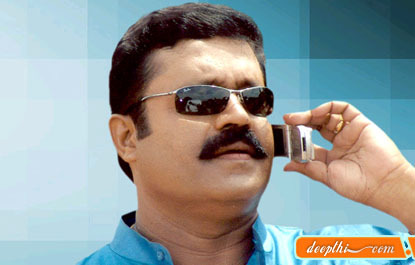 After a long hiatus he returned to Malayalam movies, playing the roles of a supporting hero or villain, most notably in 'Irupatham Noottandu' (Twentieth Century). He also acted in a variety of supporting roles in a number of hit movies, notably Rajavinte Makan ('The son of the King') a screen adaptation of 'The Rage Of Angels' by Sidney Sheldon, Oru Vadakkan Veeragatha, Manichitrathazhu, and Innale (Yesterday). In all of the movies he played important characters but were sidelined by the person in the lead role. His major break in a leading role came with "Thalasthanam" (The Capital) followed by Ekalavyan and Commissioner all of them Police dramas. He shot to superstardom with these movies and followed it up with roles in 'Lelam' (Auction) and 'Vazhunnor' (The Rulers). His portrayal of the police commissioner 'Bharath Chandran IPS' in Commissioner (1994) shot him to superstardom and is etched in Malayalam movie history as one of the most recognized roles. His famous monologue "Ormayundo ee mugkham?" ("Remember this face?") is synonymous with the role and has been subject to much imitation and parody. He is (in)famous for his fervent delivery of dialogues in the movies that he acts in. He became noted and was glorified for playing larger than life roles that were anti-establishment and often were a dig at the political and social corruption. His fortune as an action hero waned after the audience started to move away en masse from such movies toward slap-stick comedy movies. In 1997 his acting prowess was proved as "Kannan Perumalayan" a role that he played in "Kaliyattam" (The play), a screen adaptation of "Othello" by William Shakespeare for which he got the Bharath Award for best actor in the same year. Other noted hits were 'Pathram' (The Newspaper) and 'F.I.R' (First Investigation Report). In July, 2005, he was nominated for the Malayalam Cinema Best Actor Award for his portrayal of a mentally distressed person in 'Ullam' (Inside) and as a Doctor in 'Makalkku'(For the Daughter), but lost out to Mammootty. These two are considered to be among his best performances the other being in 'Kaliyattam'. He is noted for his leading roles as much as he is for the character roles. He is famous for his philanthropic efforts.